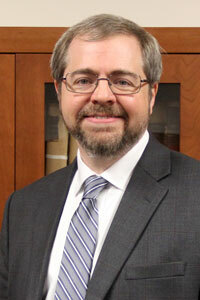 Jack Wade Nowlin takes over after serving as the senior associate dean of the University of Mississippi School of Law. Jack Wade Nowlin, a professor of law and senior associate dean at the University of Mississippi School of Law, has been named the new dean of the Texas Tech University School of Law. 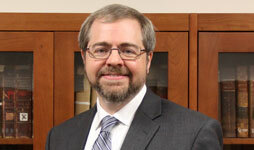 A native of Texas, Nowlin brings extensive experience in faculty development, communications and strategic planning. At the University of Mississippi, he directed the law school's faculty workshop program and assisted the faculty and staff in a number of areas. One of four finalists for the position, Nowlin replaces Interim Dean Rick Rosen, who filled the position at the beginning of 2017 after former Dean Darby Dickerson accepted a position at the John Marshall Law School in Chicago. Nowlin will start in his new role on July 15. Nowlin earned his bachelor's degree from Angelo State University in 1991 and his jurisdoctorate from the University of Texas School of Law in 1994. He also earned a master's degree and a doctorate in politics from Princeton University. He has been with the University of Mississippi since 2000 after serving as an Alpheus T. Mason Fellow in Public Law and a lecturer in constitutional interpretation at Princeton. At Texas he served as a Townes-Rice Scholar and articles editor of the Texas International Law Journal. He became the associate dean for faculty development at Mississippi in 2012 and senior associate dean in 2015. He has taught courses on constitutional law, jurisprudence, criminal procedure, criminal law and academic legal writing. Twice he was named the University of Mississippi Professor of the Year (2006 and 2012). He has served as a faculty member of the National Judicial College for more than a decade and has taught Fourth Amendment law to trial and appellate judges. An author of more than 30 articles, book chapters and book reviews, Nowlin's research interests concern judicial power, interpretive theory and constitutional structure. He received the Ben A. Hardy Faculty Excellence Award in 2011 for outstanding teaching, scholarship and service. At Mississippi he helped organize the law school's Constitution Day and Martin Luther King Jr. Day events, served on the speakers and faculty scholarship committee, advises the Mississippi Law Journal and works with students writing articles for the journal and other publications. Nowlin said he is looking forward to reconnecting with Texas Tech – he has family who are alumni and he is a product of the Texas Tech University System, having graduated from Angelo State. He is also looking forward to leading the School of Law into a new era.